Approximately 20% of the U.S. workforce performs shift-work. Shift-work is characterized as hours worked outside of the traditional 9 a.m. to 5 p.m. work schedules, and includes those who work nights, early mornings, late afternoons, and those with rotating schedules. 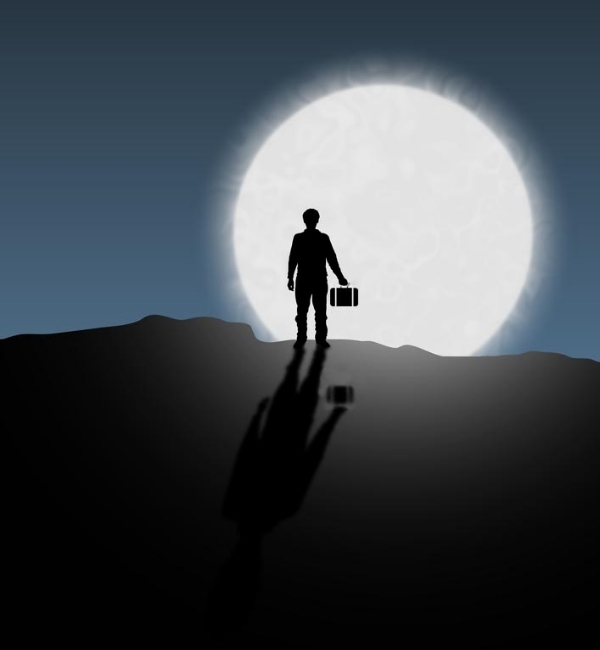 In many industries that require 24 hours of service, shift-work is an unavoidable necessity. Typical shift-work occupations include law enforcement officers, firefighters, military members, health care workers, retail clerks, convenient store employees, restaurant staff, truckers, airline pilots, flight attendants, and many more. While many of these workers are able to adapt to the demands of their irregularly scheduled occupations, a large number of shift-workers experience disrupted sleep patterns such as insomnia or excessive daytime sleepiness (EDS). Difficulty sleeping in relation to working irregular schedules can lead to workers developing shift-work sleep disorder. What is shift-work sleep disorder? Shift-work sleep disorder is a circadian rhythm sleep disorder that is characterized by insomnia and excessive daytime sleepiness (EDS). Your circadian rhythm is your built-in, endogenous, body-clock that regulates the time periods of sleepiness and wakefulness. In most people, the circadian rhythm revolves around natural daylight and darkness periods, making them more awake and alert during the day, and more tired or asleep at night. For those with schedules outside the natural cycles of light and dark, their irregular sleep times can disrupt their circadian rhythms and cause a number of mental and physiological problems. Many people overlook the lifestyle changes that those working shift-work schedules can cause. This is especially true for those that work night shifts. Night workers have a higher tendency to feel isolated from their friends and families as a result of having their schedules misaligned from those of their loved ones, making socializing more difficult. Shift workers also find it harder to exercise regularly and are more likely to eat less healthy foods because fast food chains are more likely to open late at night as opposed to typical restaurants. For those just starting working nights or those whose schedules rotate, the initial disruption to their circadian rhythm can throw off many of their body's natural functions. These symptoms are similar to those experienced from "pulling the occasional all-nighters," jet lag from traveling to distant time zones, and adjusting to new schedules from having a newborn child. The primary symptoms of shift work sleep disorder are insomnia and excessive sleepiness associated with working (and sleeping) at non-standard times. Shift work sleep disorder is also associated with falling asleep at work. Total daily sleep time is usually shortened and sleep quality is less in those who work night shifts compared to those who work day shifts. Sleepiness is manifested as a desire to nap, unintended dozing, impaired mental acuity, irritability, reduced performance, and accident proneness. Shift work is often combined with extended hours of duty, so fatigue can be a compounding factor.The symptoms coincide with the duration of shift work and usually remit with the adoption of a conventional sleep-wake schedule. Many of these health risks are believed to be associated with decreases in the body's ability to produce melatonin. Melatonin is a hormone that helps control your circadian rhythms and sleeping and waking cycles. It is also known to help bolster the immune system and prevent health problems. Some of these health risks are associated with the general lack of exercise performed by some shift-workers and poor dietary choices. Insomnia and wake-time sleepiness are related to misalignment between the timing of the non-standard wake–sleep schedule and the endogenous circadian propensity for sleep and wake. In addition to circadian misalignment, attempted sleep at unusual times can be interrupted by noise, social obligations, and other factors. Finally, there is an inevitable degree of sleep deprivation associated with sudden transitions in sleep schedule. There have been many studies suggesting health risks associated with shift work. For example, a 2007 study led by the IARC (International Agency for Research on Cancer) showed that shiftwork has been associated with cancer. Other studies have reported that night workers have an increased incidence of heart disease, digestive disorders and menstrual irregularities. Michael Lee et al. demonstrated that those working night shifts had a significantly higher risk of hazardous driving events when compared to those on a typical day shift schedule.Because a formal diagnosis of SWSD was not typically made in these studies, it remains unclear whether the reported risks apply to the subset of shiftworkers who qualify for a diagnosis of SWSD or apply to all shiftworkers. Brain arousal is stimulated by the circadian system during the day and sleep is usually stimulated at night. The rhythms are maintained in the suprachiasmatic nucleus (SCN), located in the anterior hypothalamus in the brain, and synchronized with the day/night cycle. Gene-transcription feedback loops in individual SCN cells form the molecular basis of biological timekeeping.Circadian phase shifts are dependent on the schedule of light exposure, the intensity, and previous exposure to light.Variations in exposure can advance or delay these rhythms. For example, the rhythms can be delayed due to light exposure at night. .A decline in neuronal firing in the SCN is caused by the binding of melatonin to the MT1 and MT2 melatonin receptors. It is believed that the reduction in firing in the SCN stimulates sleep. While day-active individuals produce melatonin at night, night shift workers' production of melatonin is suppressed at night due to light exposure. Regular exercise and a healthy diet can go a long way towards combatting many of the negative symptoms of SWSD. Make time for regular work outs and pack your own meals for work rather than rely on food from vending machines or fast-food restaurants. Talk to your doctor about taking melatonin supplements that can help aid your body in resetting your circadian rhythm. You can also talk to your doctor about medications that promote alertness or those that promote daytime sleep. Keep your bedroom dark. Use black-out drapes and/or use a sleep mask. Avoid alcohol and caffeine at least 3 hours before bedtime. Ask family members not to disturb you while you sleep unless it's an emergency. Ditch your digital devices. The light from your phone, tablet, computer, etc., tricks your brain into thinking it's daylight, keeping you awake longer. If you drive home from work in the morning light, wear dark sunglasses. Use a "white noise" machine to block out distracting sounds if you have family members awake in the house during your sleep hours. If possible, take brief naps during work breaks, but limit them to 10-30 minutes. If working a rotating-shift schedule, talk to your employer about moving your next shift "forward" as it's easier on the circadian rhythm to sleep in a little more rather than less. If none of the above treatment options seem to help you adjust to your irregular work schedules, you might want to consider contacting a sleep clinic as there could be other factors affecting your sleep. At The Alaska Sleep Clinic, we specialize in diagnosing and treating a wide variety of sleep related disorders, and treatment for shift-work sleep disorder is one that is very important to us. As a clinic that monitors patients while they are sleeping, our very own registered polysomnographic technologists (RPSGT's) work night schedules, and their sleep routines are critical to successful job performance while administering sleep studies. And we want to make sure that you, as well as our own employees, are getting the right amount of daily sleep to keep you stay happy and healthy while you work.